TWO GREAT REVIEWS OF HEAVEN ON EARTH IN ONE DAY! Last night felt like Christmas for me because there was not one, but two great reviews which came out in the blogosphere of my forthcoming book, Heaven on Earth: Stories of Fly Fishing, Fun & Faith. The first review was done by Paul F. Vang, who wrote the book, Sweeter than Candy: A Hunter’s Journal (which I recently read, loved, and reviewed on Upland Equations) and who regularly writes an outdoor column for a newspaper in Butte, Montana and for the “Writing Outdoors” blog. Paul is a great writer and I’ve really enjoyed his work. Be sure and check it out. Here is the link to Paul’s review of my book: http://writingoutdoors.com/?page_id=196. The second review was done by Jeremiah Wood who writes for a blog named, “The Outdoor Sporting Library,” which features information regarding classic hunting and fishing literature. Since I started following Jeremiah’s blog, I have really enjoyed it. This is a tremendous resource for those of you who love outdoor literature or who are interested in learning more. I expect good things out of Jeremiah in the future. I just learned that Jeremiah also writes for a blog named, “Wood’s Outdoor Journal,” which I am not yet familiar with, but intend to follow and include on Upland Equation’s blog role. Be sure and give Jeremiah your support. 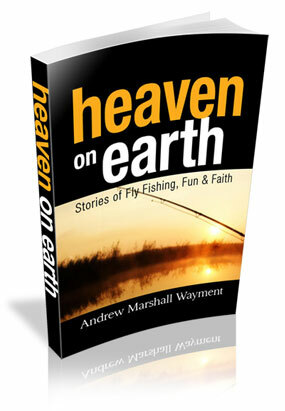 Here is the link to Jeremiah’s review of Heaven on Earth: http://outdoorsportinglibrary.com/?p=715. I am extremely grateful and honored by these reviews and I want to thank Paul and Jeremiah for their insights and encouraging words about my book. Having others in the outdoor writing world read and enjoy your work is extremely gratifying. Thanks guys! Again, the official release date for Heaven on Earth is April 1, 2012. However, advanced signed copies are available now through my website: http://www.heavenonearthbook.com. Thanks for checking in!